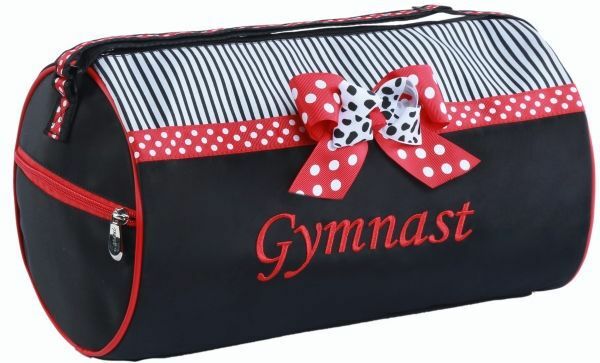 Mindy Gymnast Small Roll Duffel – Adorable black and red design with striped screen print, grosgrain polka dot ribbon trim and bow, and embroidered “Gymnast”. Microfiber material wipes clean. Can be personalized. Grosgrain ribbon trim and bow.